Shifu is the leader of anarchism in China. He devotes himself to the propaganda and practice of anarchism and the hard exploration of anarchic revolution. He opposed the powerful government and advocated anarchic communism. At the same time, according to his understanding of socialism, he criticized Sun Yat-sen and Jiang Kanghu, which promoted people’s understanding of socialism to a certain extent. Shifu’s anarchism thought developed rapidly after the 1911 Revolution, and its radical and idealistic propositions also implicitly showed dissatisfaction with the present situation after the Revolution. A brief analysis of Shifu’s anarchism will help us to have a better understanding and recognition of the society after the 1911 Revolution. 唐仕春. 《师复年谱简编》,《中国近代思想家文库: 师复卷》[M]. 北京: 中国人民大学出版社, 2015: 181-185. 耿云志. 近代中国文化转型研究导论[M]. 成都: 四川人民出版社, 2008: 405. 竹内好. 从“绝望”开始[M]. 靳丛林, 译. 北京: 生活•读书•新知三联书店, 2013: 37. 葛懋春, 蒋俊, 李兴芝, 编. 无政府主义思想资料选(下册) [M]. 北京: 北京大学出版社, 1984: 929. 李良玉. 动荡时代的知识分子[M]. 杭州: 浙江人民出版社, 1990: 109. 师复. 《无政府浅说》,《晦鸣录》第一期[C]//唐仕春. 中国近代思想家文库: 师复卷. 北京: 中国人民大学出版社, 2015: 49. 师复. 《无政府共产主义同志社宣言书》,《民声》第17号[C]//唐仕春. 文库: 师复卷. 北京: 中国人民大学出版社, 2015: 148. 师复. 《无政府共产主义释名》,《民声》第5号[C]//唐仕春. 文库: 师复卷. 北京: 中国人民大学出版社, 2015: 68-69. 师复. 《三答耑任》,《民声》第17号[C]//唐仕春. 文库: 师复卷. 北京: 中国人民大学出版社, 2015: 155. 师复. 《无政府共产党之目的和手段》,《民声》第19号[C]//唐仕春. 文库: 师复卷. 北京: 中国人民大学出版社, 2015: 160-161. 师复.《上海漆业罢工风潮感言》,《民声》第23号[C]//唐仕春. 文库: 师复卷. 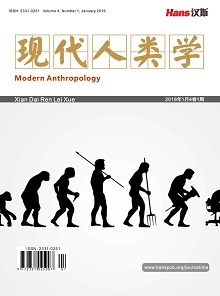 北京: 中国人民大学出版社, 2015: 179-180. 邓中夏. 辛亥革命后与职工运动有关的政治派别[C]//载姜平, 王凌云. 邓中夏文集. 北京: 人民出版社, 1982: 427-428. 师复. 《孙逸仙江亢虎之社会主义》,《民声》第6号[C]//唐仕春. 文库: 师复卷. 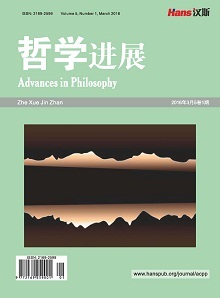 北京: 中国人民大学出版社, 2015: 75-76. 师复. 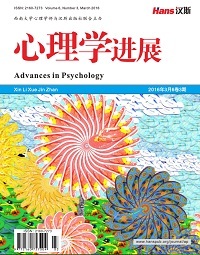 《答李进雄》,《民声》第11号[C]//唐仕春. 文库: 师复卷. 北京: 中国人民大学出版社, 2015: 115. 师复. 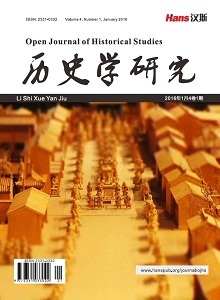 《驳江亢虎》,《民声》第15号[C]//唐仕春. 文库: 师复卷. 北京: 中国人民大学出版社, 2015: 141. 罗志田. 西方的分裂:国际风云与五四前后中国思想的演变[J]. 中国社会科学, 1999(3): 20-35. 李维汉. 回忆与研究(上) [M]. 北京: 中共党史资料出版社, 1986: 10-11. 罗志田. 权势转移 近代中国的思想与社会[M]. 北京: 北京师范大学出版社, 2014: 38. 师复.《答凡夫书》,《民声》第5号[C]//唐仕春. 文库: 师复卷. 北京: 中国人民大学出版社, 2015: 72. 师复.《心社意趣书》,《社会世界》第5期[C]//唐仕春. 文库: 师复卷. 北京: 中国人民大学出版社, 2015: 43-46.